This region, also called EO&I (Eastern Oregon and Idaho), is located on the Snake River Plain in the central border region of Oregon and Idaho. 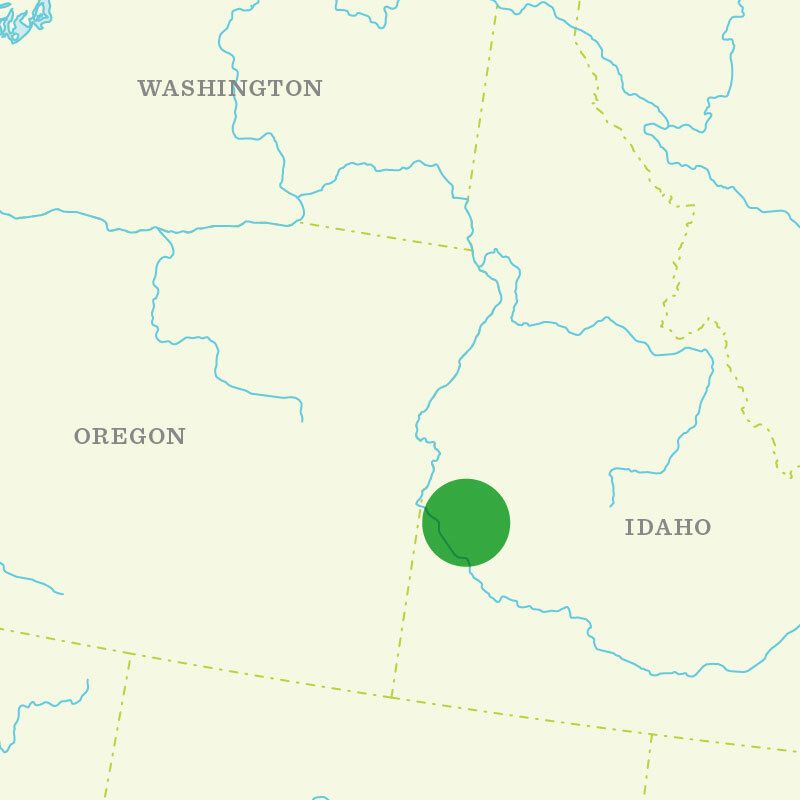 It spreads between Glenns Ferry, Idaho and Ontario, Oregon. Irrigation water for this region comes mainly from 5 area reservoirs and the Snake and Boise Rivers. 60% of crops in the area are flood-irrigated, with the remaining 40% sprinkled. Peppermint (Black Mitcham), Scotch Spearmint (Regular and 770) and a small amount of Native Spearmint.